After a solid year of use, there’s almost nothing anyone could do to get me to give up my beloved Mixamp Pro TR. The Mixamp Pro TR approaches a necessity for broadcasters for a whole mess of reasons. Where to start? But the most useful thing of all for me, is #4. 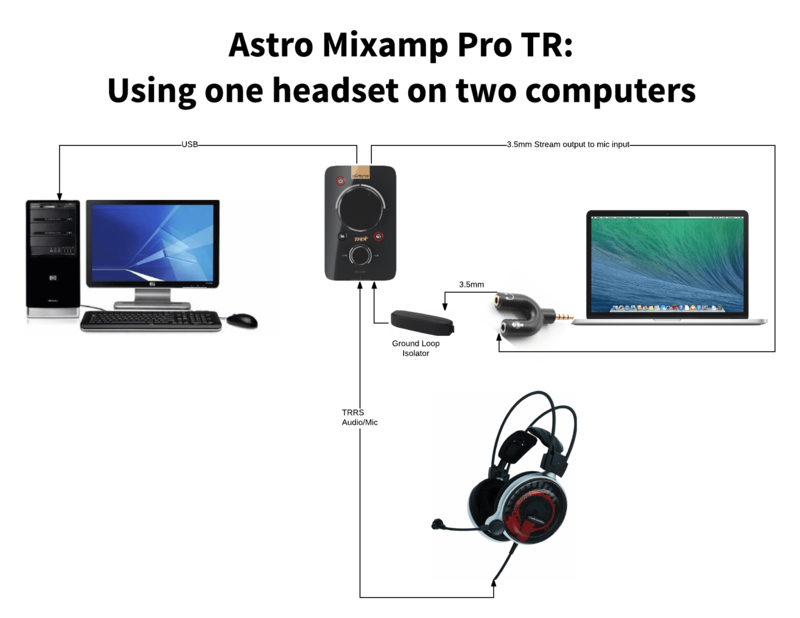 Auxiliary input and ‘Stream output’ is actually all you need to be able to use two computers through the one headset. This is incredibly useful for anyone utilizing a broadcast computer or reading chat / monitoring / etc on a nearby laptop. Connect the line-out from the second PC to a $10 Ground Loop Isolator. Connect the other side of the Ground Loop Isolator to AUX IN on the Mixamp. In the Astro Command Centre, configure the Stream Output to contain only Voice. Connect Stream Output port to Line In or Mic on the second PC. Audio from the second PC is now coming through your headphones, and your mic is now going to the second PC. This is incredibly useful for me as I have a laptop beside my desktop. It does the encoding and is logged into a separate set of accounts because of reasons. I also use it for work. No more plugging and unplugging as I change tasks! 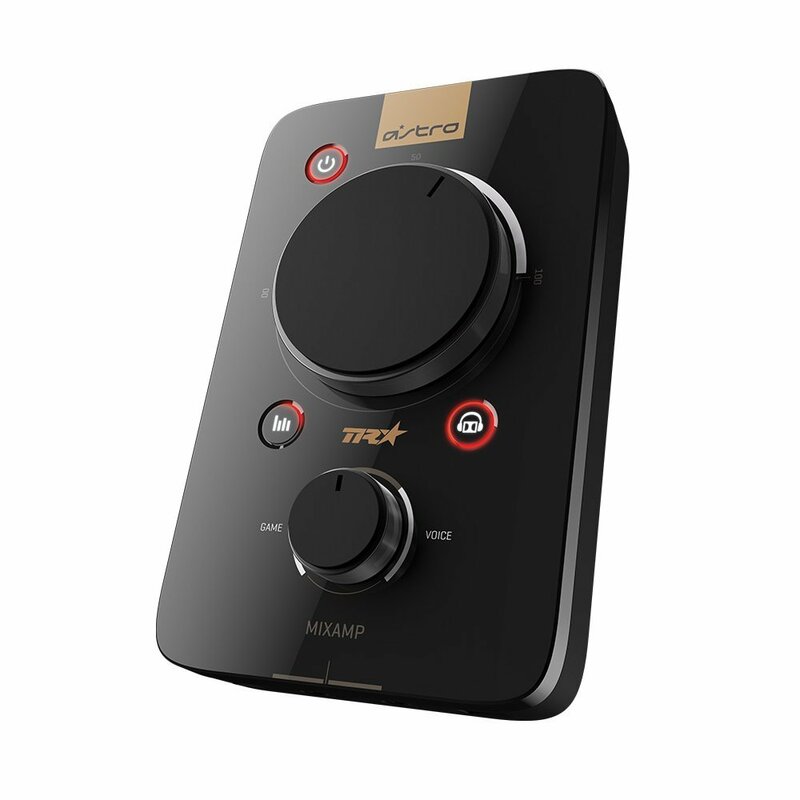 Reason one of many to pick up an Astro Mixamp Pro TR.